"the statistics also show a drop in writing performance for S2 pupils which is of particular concern [..] the SSLN statistics are disappointing"
"The figures for Scotland do not make comfortable reading [..] compared to 2012, our performance in science and reading has fallen. 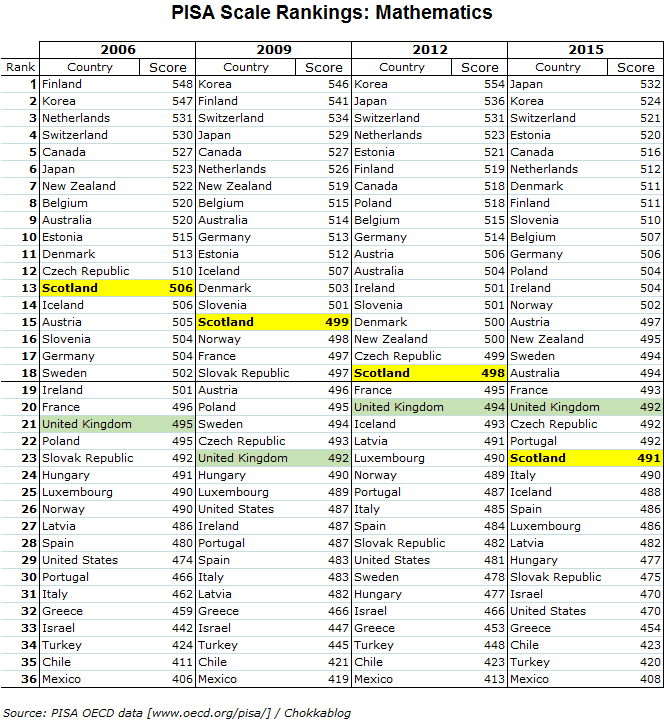 In science and maths we are now below the levels at which we performed in 2006, and more countries have outperformed Scotland in all three areas than at any time since PISA began." 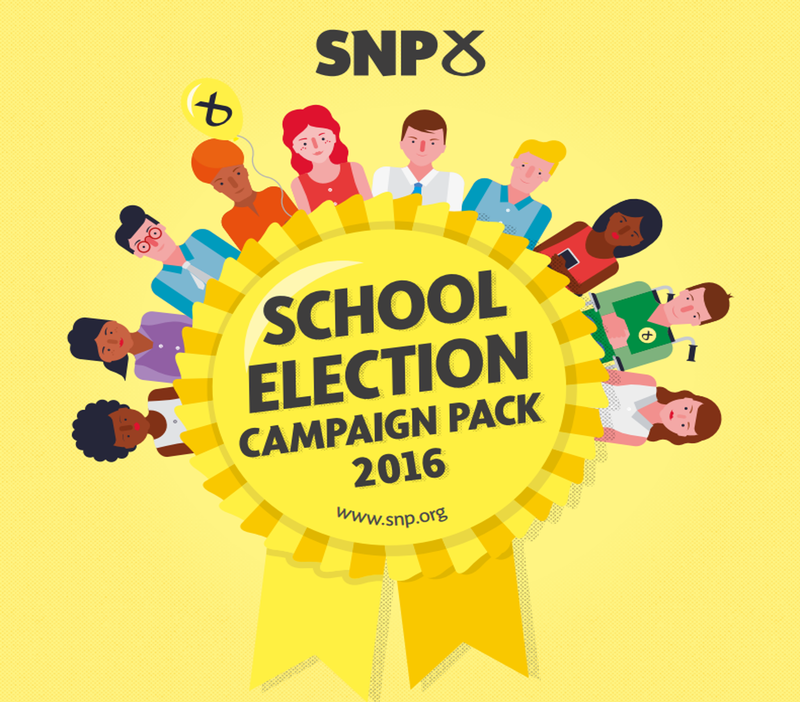 Nicola Sturgeon has asked to be judged on her record on education and the SNP has been in charge of our fully devolved Scottish education system for roughly 10 years. Responsibility for the educational outcomes we're now seeing must lie with the SNP - and the trend in those outcomes is simply terrible, as Cabinet Secretary for Education and Skills John Swinney has had to admit. The most recent international benchmark data provided by PISA1 covers the period from 2006 to 2015 (it's a survey that happens only once every three years). PISA surveys 15-year-old pupils, so the most recent data shows results for pupils who had been in the Scottish education system for 7 years under an SNP administration. The graphs below are pretty clear. Since the SNP came to power, in each of the three main disciplines as measured by PISA (mathematics, reading & science), Scotland's performance has declined significantly. This is true in absolute terms, relative to the whole of the UK and relative to the average for all OECD countries. 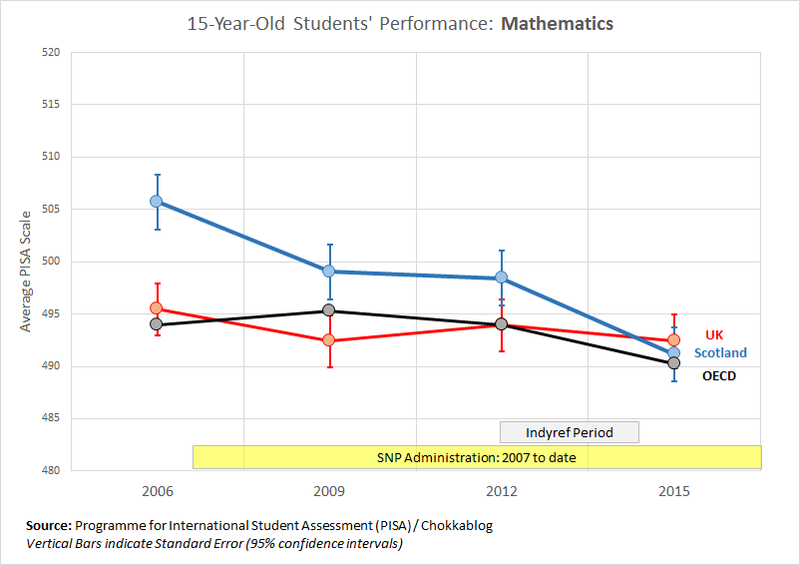 So in maths and reading, where Scottish pupils used to perform significantly better than rUK students, latest available data shows we've dropped back to average at best. 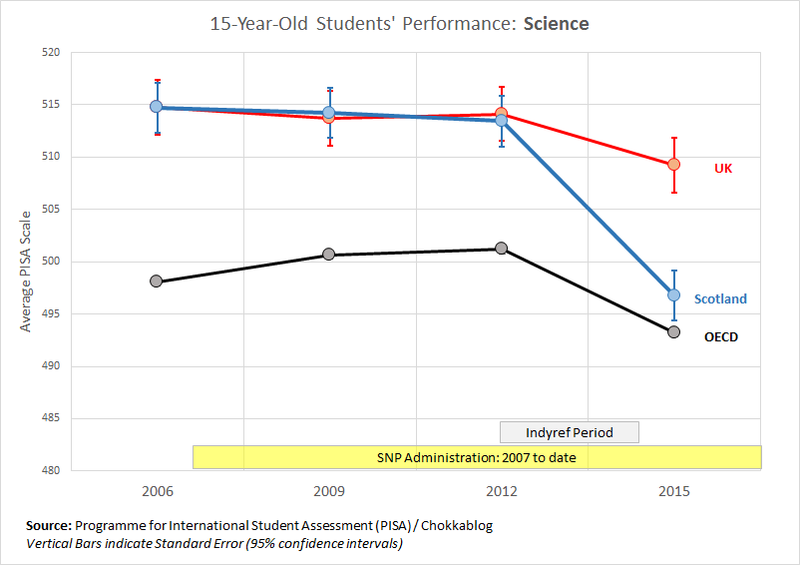 In science, where Scottish pupils used to perform in line with the UK average, their performance in the most recent survey is very significantly worse. In all three disciplines, we've gone from out-performing the OECD average to being - well - distinctly average. 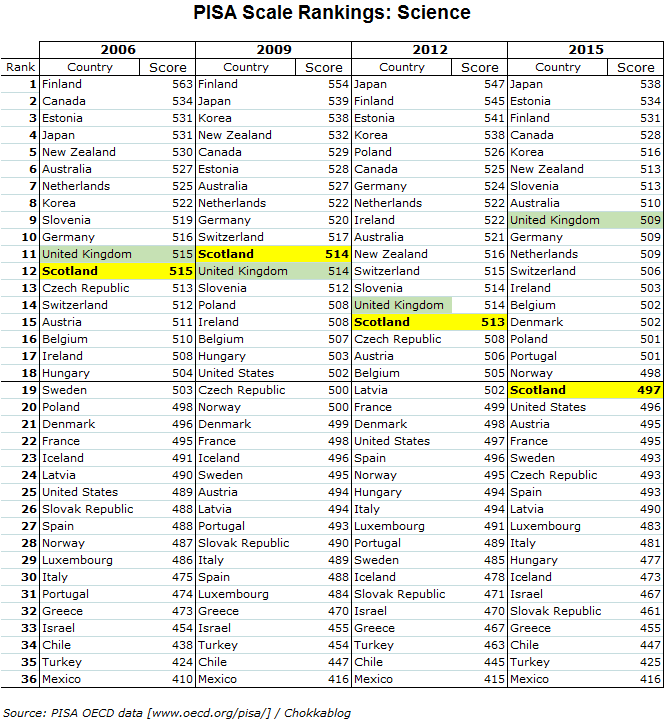 Looking at our performance in international league-table format: in all three subject areas we've dropped below the OECD average and into the bottom half of the table. In fact, having withdrawn from the other globally recognised assessment body (TIMSS & PIRLS) in 2011, it's now the only data we have to compare our performance on an international basis. It's good quality data1 and the results are a damning indictment of the SNP's performance as custodians of our education system. 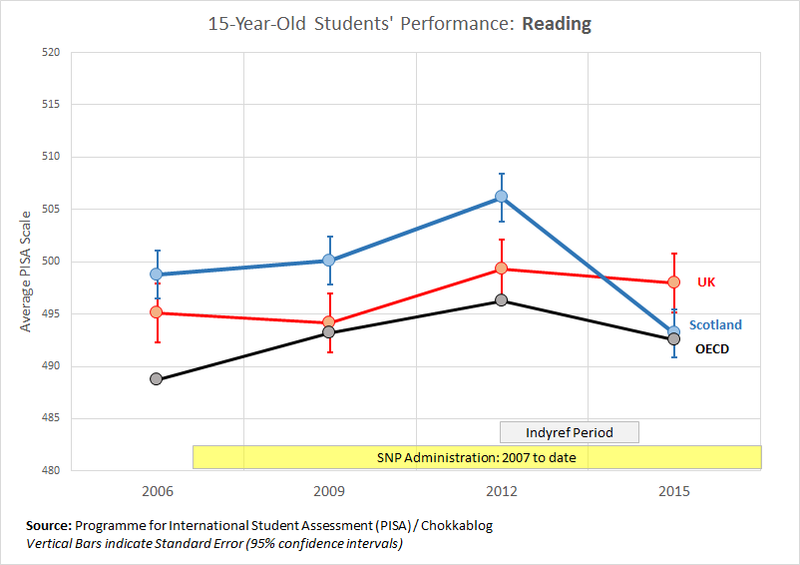 There is one other way we can objectively assess the performance over time of the Scottish education system and that's the Scottish Government run Scottish Survey of Literacy and Numeracy2 (SSLN). This doesn't offer international comparisons, but it does allow us to observe trends over time on a like-for-like basis and - among other things - look at the "Attainment Gap" (the extent by which pupils from the most deprived backgrounds under-perform those from the least deprived). SSLN focuses on numeracy and literacy in alternate years, so we have numeracy data for 2011, 2013 & 2015 and literacy data for 2012, 2014 & 2016. Pupils are assessed at three different stages of education: P4 (age 7-8), P7 (age 10-11) and S2 (age 13-14). 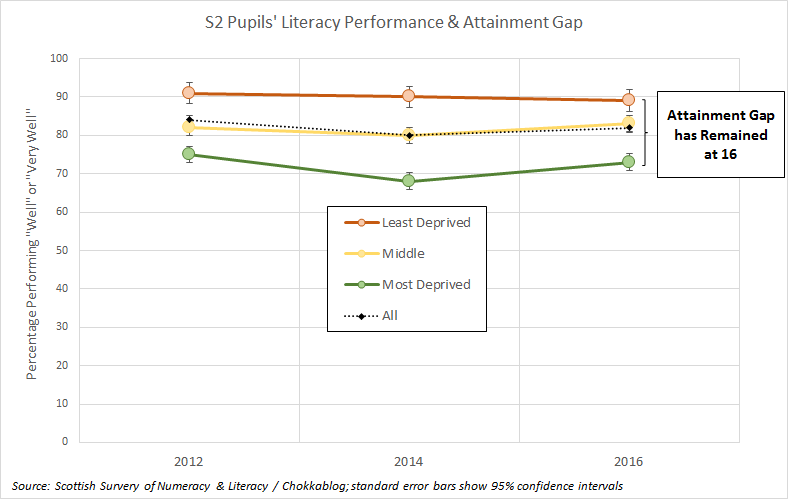 For each of these groups the graphs below show trend in the percentage of pupils assessed as performing "well" or "very well" in the subject, and splits these by deprivation status (most deprived, middle, least deprived). 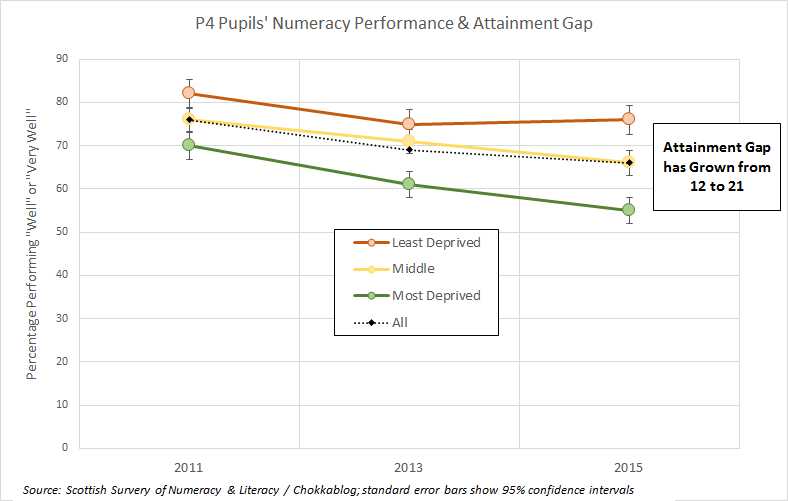 So the available data for numeracy shows overall standards declining slightly, although stabilised (at a very poor level) for S2. 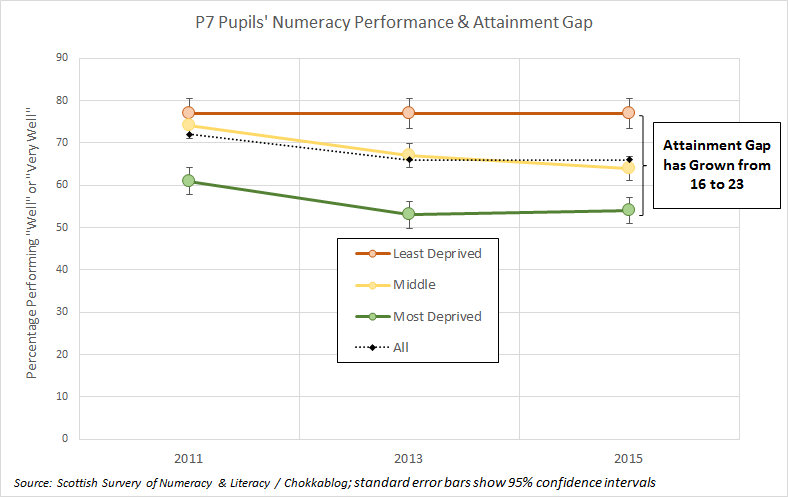 The largest Attainment Gap exists at the S2 level and there's no evidence of it closing. 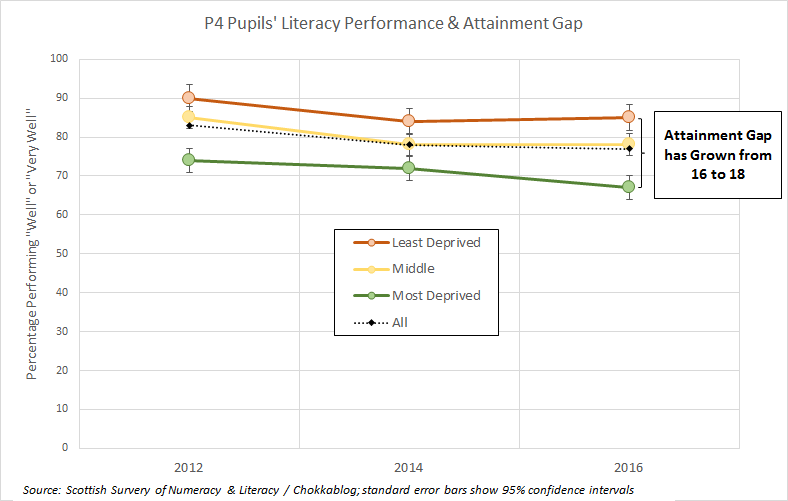 The Attainment Gaps at both P4 and P7 are growing significantly, and the decrease in attainment for the most deprived pupils at P4 level (the earliest measured stage) is dramatic and concerning. Overall attainment levels are broadly stable, although there is some evidence of decline at P4. 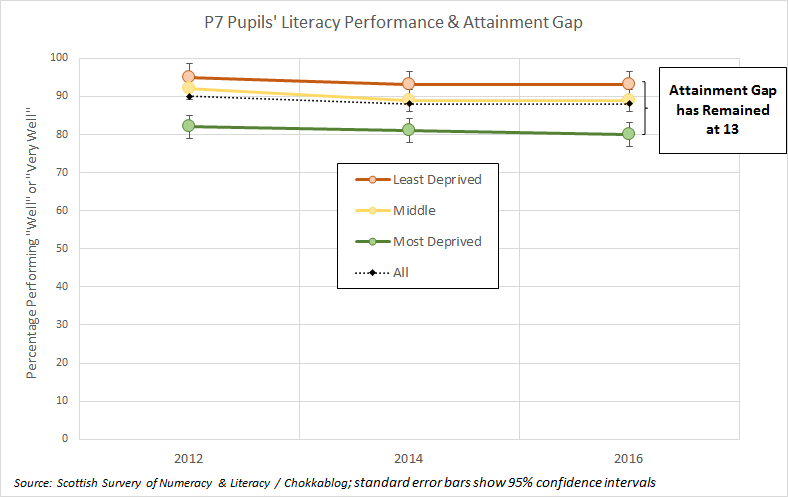 The Attainment Gaps for literacy are less severe than for numeracy. 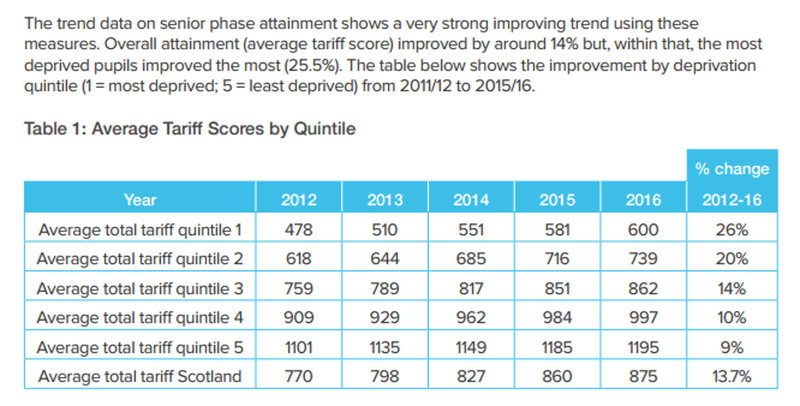 There is no evidence of any sustained reduction in the Attainment Gap at S2 or P7 - and at P4 the Attainment Gap is widening (primarily due to a decline in performance of pupils from the most deprived areas). Having looked at all these graphs now, the poor level of overall numeracy attainment at S2 level is striking: is our education system producing a generation soon to vote who aren't great at adding up? Combine the SSLN findings with the PISA results and a clear picture emerges: on the SNP's watch, overall standards in Scottish education have dropped and pupils from the most deprived areas have been the ones to suffer the most. You might think it's going to be interesting to see what the next SSLN survey data shows, particularly as it would be on numeracy again, the area where the most worrying trend has been observed. Well it turns out we'll be unable to objectively judge Sturgeon's record on this because - with a spectacular disregard for the value of consistently audit-trailed performance data - her government have chosen to stop the SSLN survey altogether. To coin a rather poignant phrase in this context: you do the math. In her recent grilling by Andrew Neil on BBC1, Nicola Sturgeon delivered a masterclass in obfuscation and misdirection when pressed on this topic. She brushed off references to the latest available international benchmark data as "from two years ago" and airily dismissed her own Government's survey of over 10,000 pupils as somehow irrelevant "because it's a sample survey". She even had the brass neck to go on to argue that "there's real progress been made". The Spectator's Fraser Nelson has written an excellent blog unpicking the detail of Sturgeon's blustering in that interview: "Fact-checking what Nicola Sturgeon told Andrew Neil about education" - I heartily recommend it. Sturgeon's argument for dismissing the SSLN data and discontinuing the survey was that it doesn't give meaningful data at a school-by-school level. That is a frankly ridiculous argument that would only make sense if anybody was trying to use the data to judge specific schools or local authorities - they're not. SSLN was designed to give an overall assessment of the quality of literacy and numeracy education in Scotland, and it does that well. 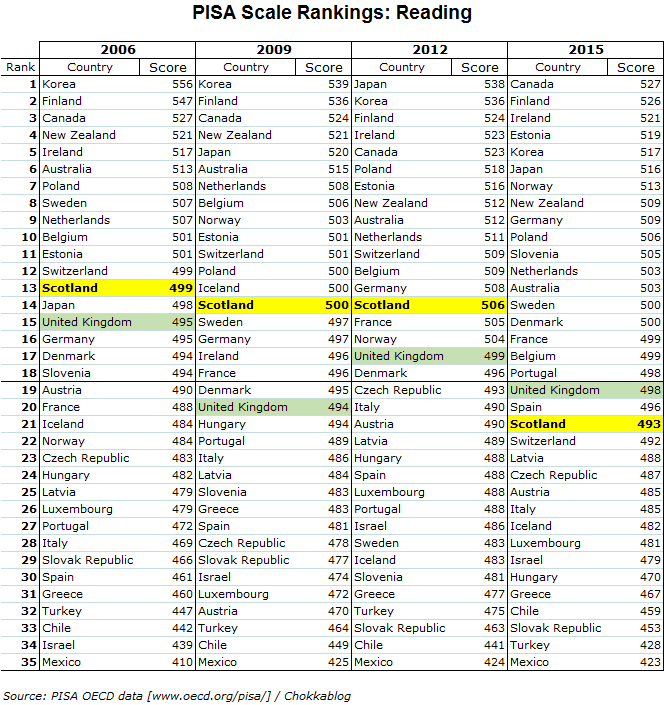 The (Scottish Government commissioned) OECD report "Improving Schools in Scotland: An OECD Perspective"cites the SSLN data fully 27 times and at no point suggests the data is in any way not fit-for-purpose3. It's hard not to conclude that the SNP's decision to stop the SSLN is motivated by the fact that it exposes failings on their part - and that they're fearful of what the next ones would show. Put it like this: do you think they'd scrap it if they thought the upcoming surveys were going to show how successful their reforms have been? So how does the SNP attempt to put a positive spin on this? 1. "If you take Level-5 qualifications which are broadly equivalent to the old O-Grades and Standard Grades [..] we've seen the gap between the richest pupils and the poorest pupils almost half"
If I'm right, then she's dismissing robust PISA data from 2 years ago but seizing on a snippet of data from - er - 2 years ago. 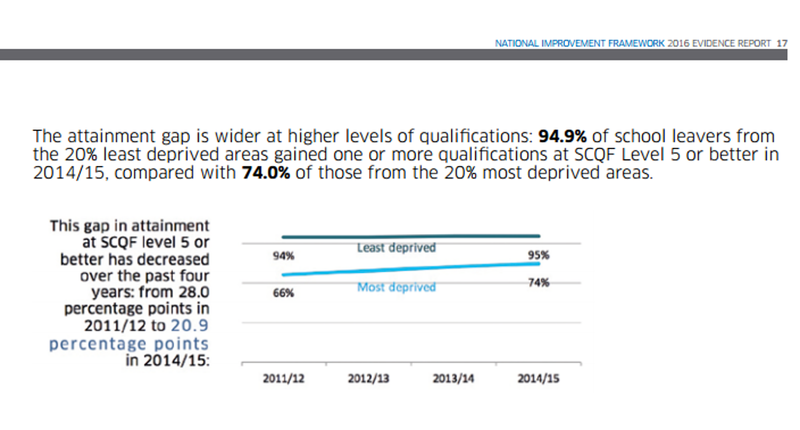 Either way, the measure of "one or more qualifications as SCQF Level 5 or better" is laughably crude compared to the SSLN data. 2. "If you take the tariff scores in Scottish education which measure not just the quantity of qualifications that young people get but the quality as well, it shows that performance in the top 20% has improved by about 9% but the performance in the bottom 20% has improved by 26%"
This is certainly a measure of something, and quite possibly of something to be applauded. But the report itself offers some pretty heavy caveats about the crudeness of the measure: "measures of both attainment and outcome for education are presently crude and need developed [..] “Total tariff score” needs controlled for the year in which young people left school so that we compare like-with-like". So this crude measure that confesses not to be offering like-for-like figures is in no way an alternative to the SSLN data, which it appears to directly contradict. The Tariff Score is explained as "a summary measure of the number, level and grade of qualifications children had achieved during the senior phase". A bit more digging tells us its based on "the attainment of all pupils who left school that year after either S4 S5 or S6 by level of deprivation. Each qualification attained by a pupil is awarded tariff points based on its SCQF level and credit points. Points are also based on the grade of award achieved." It only offers a crude measure of what happens at the end of the education pipeline, it offers no insight into issues in the pipeline. Take the P4 numeracy issues exposed by the SSLN survey: these won't translate into "tariff points" for another 8 years or so! To seize on this tariff data as proof of something good happening (which it might be) while simultaneously dismissing the transparently more robust and strategically valuable SSLN data is simply indefensible. 3. "we're seeing more young people coming out with Highers and Advanced Highers, we're seeing more young people going in to University, we're seeing the positive destinations of young people continuing to increase"
Claims on numbers of Higher and admissions to University (which I don't have the energy to check, but believe) in no way counter the core issue of declining educational standards highlighted by PISA and the chronic Attainment Gap problem as shown in the SSLN data. Those surveys provide like-for-like comparisons over time, crudely counting number of Higher passes or number of people getting in to University obviously doesn't. As for "positive destinations", this appears to be little more than a proxy for "not being unemployed" given the term is defined as including "higher education, further education, training, voluntary work, employment and activity agreements"
So Sturgeon did a good job of spinning her way through the interview, but the underlying issue can't be spun away so easily. Don't get me wrong: I believe that Sturgeon and her colleagues care about education and I believe that after nearly 10 years in power they've finally really started trying to improve things. But I also believe that it is not and never will be their main priority because - as the party's constitution and Sturgeon herself has made very clear - for them, independence transcends all. Cuts in the number of teacher training places in Scotland “probably” went too far, the Education Secretary has conceded. John Swinney said that with hindsight, the target intake for student teachers was “probably over-corrected too far” in 2011. In 2005-06, before the SNP came to power, the target number was 4,437, but it then went from 3,857 in 2009-10 to 2,307 in 2010-11 - a drop of 1,550 places. Alternatively take a look at our old friend the Scottish Government's GERS figures. As I've pointed out before, the SNP relatively reduced per capita spending on education (relative to the rest of the UK) in their early years. This is all about priorities: in other areas like policing they chose to spend more. Of course this graph shows that we've continued to spend more per capita on education than the rest of the UK - but our population density is 80% lower than the rest of the UK and we have extensive island communities to serve, so we'd expect that. 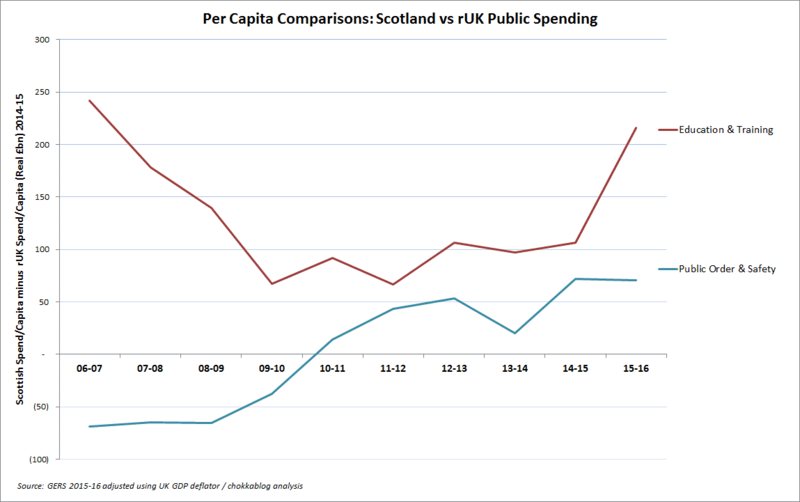 What's undeniable is that the SNP reduced spend relative to the rest of the UK (so "Tory austerity" can't be blamed) and have only very recently looked to return to the levels of spend they inherited (in a move some of us applauded at the time). 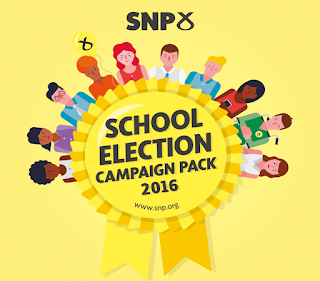 Ultimately its about priorities and education simply hasn't been a priority for the SNP until very recently. I fear that hollow sound you can hear is a stable door being shut on an empty stable. There can be few responsibilities greater for a party of government than to ensure a country's children receive the best possible education, to provide the next generation with the best chances to succeed in life. Young Scots emerging from education with reduced life-chances are the ones paying the price for the SNP's failings today. 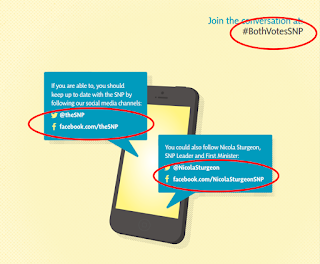 The question is, will the SNP start paying the price at the ballot box tomorrow? 3. The only observation the OECD make relating to limitations of the SSLN data is "The SSLN sample size is too small to be disaggregated to the local authority level." . This is true, but a reason to gather more comprehensive data as well as the SSLN, not instead of. It was a Tory that did it, he was seen running towards Westminster. Sadly, the situation gets worse for school leavers. Drop out rates amongst Scottish students, studying at Scottish universities are rising worryingly. This is a measure which should also be included in any analysis of our (failing) education system. 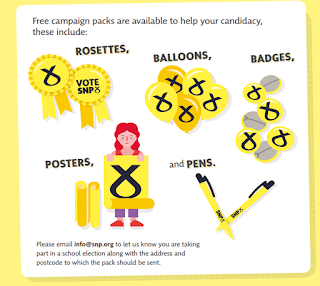 And let's not forget that the SNP had to admit to taking funds from schools budgets to fund those 'free' University places. They are a disgrace. And Level 5 is not remotely comparable with Standard Grade or O level exams. Level 4 has no exam component at all and kids can leave school never having sat an exam. A whole generation has been badly let down. The depressing part is that nationalists are no more likely to believe this evidence than Trump supporters will believe the facts about climate change. I love it when politicians say "Judge us on our record", because the only thing one can say in response is "Oh, OK then." Not having sat an exam is irrelevant since those students will not have to sit exams in their post school lives - so experience of it is unnecessary. N5 is the same standard as credit standard grade, probably slightly more challenging, and with changes in next academic year will be far more challenging. N4 is meant to be equivalent to general standard grade, but probably slightly easier, but definitely more fit for purpose for those students. Really? No exams post school? No University then. No profession. No trade. on whether the SNP are good for Scotland's next generation of tax payers. Thank you, Kevin. "Not having sat an exam is irrelevant since those students will not have to sit exams in their post school lives - so experience of it is unnecessary." While I don't disagree with any of the analysis, it should be remembered that Labour, the Tories as well as the SNP supported Curriculum for Excellence. So the SNP can only really be held accountable for the poor preparation for teachers and staff and the overall implementation of it. The previous Scottish Executive approved the basic principles following a wide ranging consultation and review of Scottish education involving all the major players of the educational establishment in 2002-2004. The same goes for the criticism and furore around the formation of Police Scotland. Labour and the Tories also had a single force in their 2011 manifestos. It looks increasingly possible that if the Scottish Tories win the largest number of seats in Scotland in 2021 and they cobble together a coalition with Labour and the Lib Dems, they'll have to explain why they initially backed Curriculum for Excellence and what they would do different in office. I had a look at some of the Pisa tests though and I did not like the design of the questions. I wonder how valid these tests are.